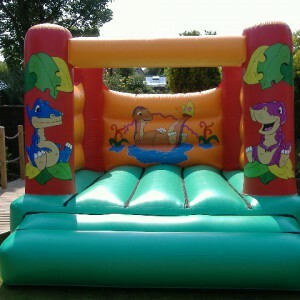 Great castle for indoor or outdoor hire. SKU: CAS06. 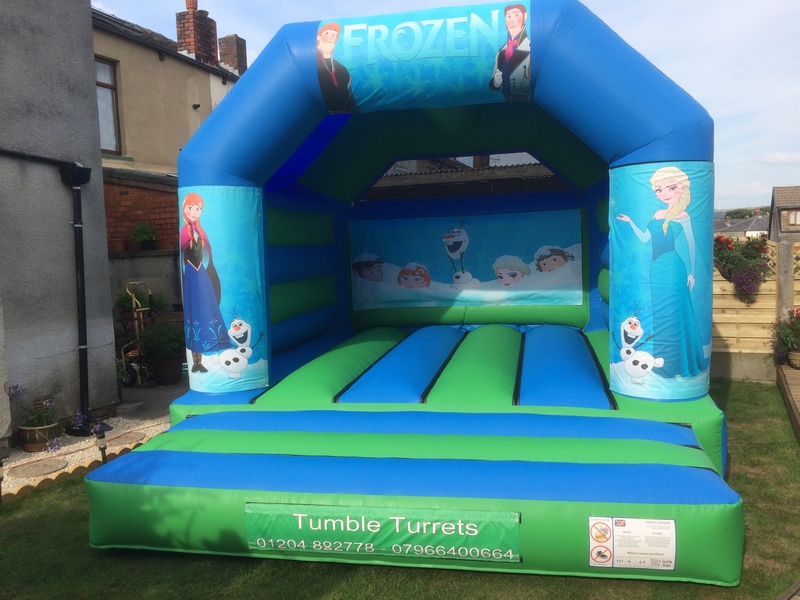 Category: Bouncy Castles Available For Hire. 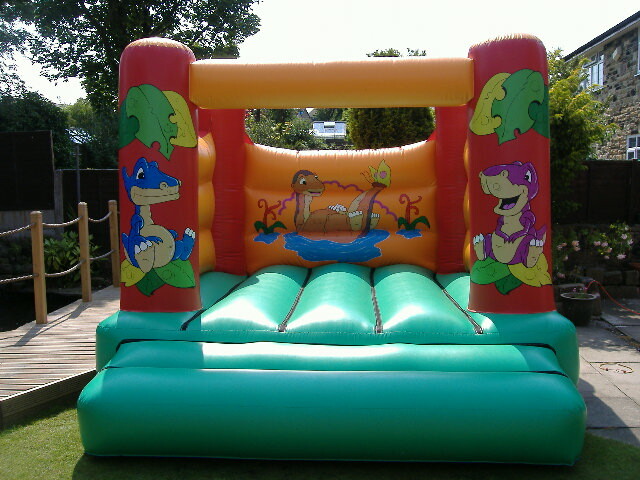 This castle has cute dinosaurs on it in bright eye catching colours. Great for that prehistoric party and sure not to scare the children. 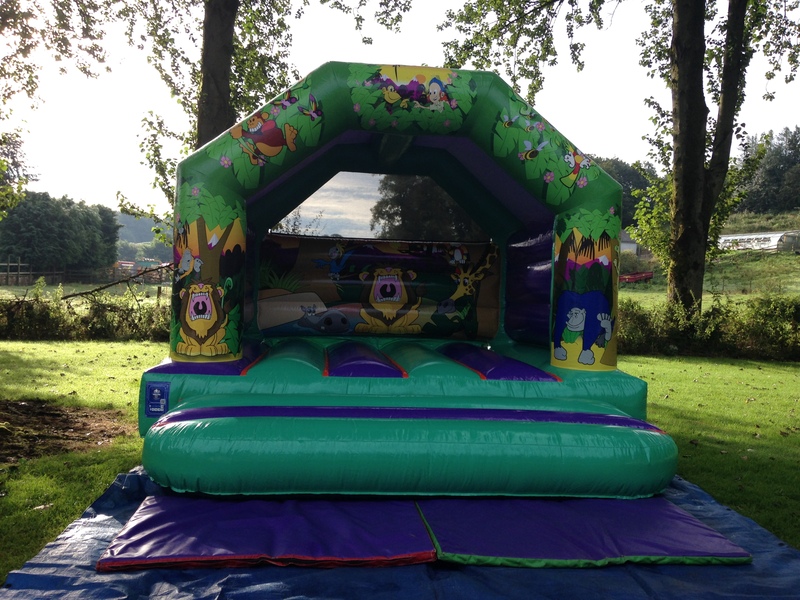 This size of castle is usually the best one to hire for children aged under 11 years. This always looks great in any garden and is unisex for either boy or girl. 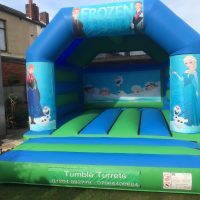 This castle comes with a detachable rain cover and we can be set the castle up with it on or alternatively it is very easy for you to take off or put on during your party. This cover can also be used in very hot sunny weather as a sun shade. 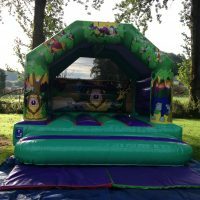 It is also very popular for indoor hire in local village church halls where the ceiling height is not very high.